Today's Mindfunda wants to celebrate Rolling Thunder's birthday, September 19. Rolling Thunder, whose birth name was John Pope, was a self-proclaimed shaman. He had a huge following, with famous people like Bob Dylan and the Grateful Death among them. But most of all he was in touch with nature. He had a remarkable ability to tune into the energies of nature. On the cover of this book, written by Stanley Krippner and his son Sidian Morning Star Jones you see a bird in the hands of Rolling Thunder. Before the photo was taken that bird lay wounded on the ground. Rolling Thunder picked the bird up and nurtured it. Soon, the bird started to come alive again and at that moment this photo was taken. Even though there is question whether Rolling Thunder indeed had an Indian heritage, fact is that he was in tune with nature. He seemed to have an ability to pick up on nature’s rhythm and align his own energy with it. Rolling Thunder was popular with artists. He inspired Bob Dylan who did a Rolling Thunder tour. It is not clear if Bob Dylan named the tour after the healer, but Rolling Thunder is said to have appeared in some of the concerts to perform ceremonies. It was completely in line with the time frame: pop musicians like the Beatles in the seventies took people into the modern times but wanted to dip into the ancient wisdom. The Beatles introduced meditation by hooking up with Maharishi Yogi. Bob Dylan, but also the Grateful Death twirled around the magic of Rolling Thunder. Mickey Hart devoted a whole album to Rolling Thunder. The archetypical qualities every pop star must have to become popular, have a magical appeal to the public. Rolling Thunder aligned with that appeal. I think he was able to do that because he seemed to be able to pick up energies so well. ‘What scientists call physic phenomena, American Indians would refer to as “other world”. These phenomena are very important. In fact, they are the most important aspects of our lives. They have to do with life and death and sickness. They even have to with the rise and fall of governments. Everything in the universe rises and falls and travels in cycles. These cycles are energy patterns created in the universe itself, then in the bodies of everyone living and everything that has a life. 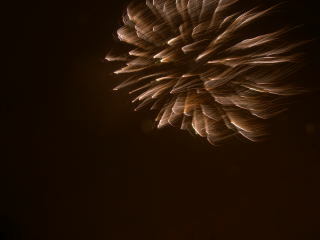 I think as scientists go more into explorations in this area, they will find that these energy patterns explain a lot‘. Now this is a romantic view of life. It is something we crave. We know we have lost this connection to the earth and we grieve its loss every day. Looking at pop music today, it seems to have lost this bridge function between the old and the new. The new stars do not seem to have mentors. Or have I just become older? I think that whenever you take a quit moment and you align with the natural rhythms around you, you can become your own shaman. “Will you teach your children what we have taught our children? That the earth is our mother? What befalls the earth befalls all the sons of the earth. This we know: the earth does not belong to man, man belongs to the earth. All things are connected like the blood that unites us all. Man did not weave the web of life, he is merely a strand in it. Whatever he does to the web, he does to himself“. Like Rolling Thunder, he calls this alignment between the earth and the humans into being. And we live in a life that seems to have forgotten how much we are part of the earth. How we live, breath and are the earth itself. and how we will become part of her again after we leave this life. Reading 'The Buddha Pill' written by Miguel Farias and Catherine Wikholm gave me some insights into meditation I want to share with you. 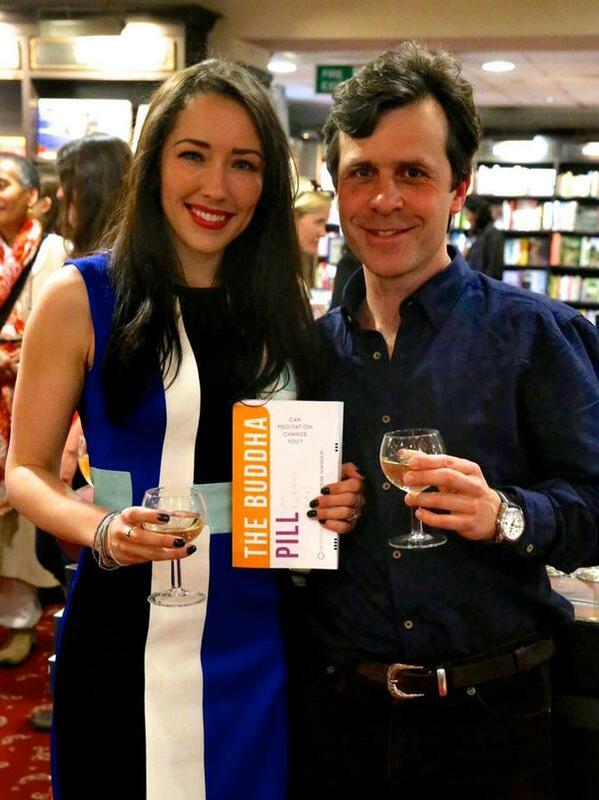 The book was so good that I decided to mail to Catherine and invited her for a Mindfunda interview about 'The Buddha Pill'. The audio is sometimes a bit tardily because my provider was hacked at the time of the recording. Can you change or are you born a certain way? When I was educated as a psychologist I had to think about this ‘nature – nurture debate‘. On the nurture side there is a compelling story in ‘The Buddha Pill’ about Nick. A born criminal, a drug dealer. Being in prison just taught him how to be a more effective criminal. It gave him new connections, new methods. But one time he made a decision to stop. He focussed his energy on meditation and yoga and he has become a succesful meditation teacher. Is meditation the Buddha pill? I remember when I was young a lot of people, including my parents were engaged in transcendental meditation. Pictures of serene people floating above the air… Catherine Wikholm also saw these pictures in her childhood. And came to the same conclusion: there most be something magical about meditation that makes you a better person. When she was asked by Miguel Farias to research the effect of meditation on prisoners she did not hesitate one second. The book originated from a meeting with Sandy Chubb of the Phoenix trust. She uses meditation to improve the inner sense of well-being of prisoners. Being two experienced meditators with a scientific background, Miguel Farias and Ctaherina Wikholm decided that they would do a scientific experiment to see if meditation is indeed the Buddha pill. Researching the scientific literature, Catherine and Miguel found out that there is not a lot of solid scientific research available into the merits of meditation and mindfulness. Nowadays, mindfulness has gained acceptance as THE panacea for inner peace for restless people (and aren’t we all restless?). But there is not a lot of research done about meditation that could meet the scientific standards of having a control group and a clear defined variable that is manipulated to see the difference between the two groups. The results of the experiment are in ‘The Buddha Pill’. But the writers have added some very useful sidenotes for meditation. First of all: sitting alone reciting a mantra does not make you a better person. Change needs to be incorporated in the body. Yoga does just that. It is no wonder that their experiment involved Yoga practices. So, after you have seen the interview, what do you think? Can people change for the better? Do you like this post? Don’t forget to share! Today I celebrate the #100th blog post of Mindfunda. The number 100 is a special number. All ratios can be brought back to 100 using a percentage. 100 was considered to be the desired age for a human being in the bible. 100 represents eternity. (Don’t worry, I don’t plan on writing for Mindfunda that long). I call Mindfunda the walking website. Because after I have done all this work I usually walk. Nothing can bring notes and thoughts more into perspective then a walk, while thinking about what I want to say. I think about how I am going to say it, why I am going to say it and why my readers would want to read it. I think my Ray Kurzweil post is one of my favorites. I put so much effort in researching Kurzweil (I really got to like him), his life, his determination, his brilliant mind that I had to contemplate how to convince you of his brilliance without coming across as a love-sick puppy. My post about a dream that alerted the dreamer to a heart condition is one of the most visited posts, according to statistics. We live in a time that many people suffer from heart conditions. After two months of blogging I wanted to publish an interview. Being a book addict I wanted to let writers tell about their books. I wanted people to engage with them, like them, see them, hear about their struggles, their solutions, their happiness but also about their failures. Because failing is not a problem. Failing is a side road to success. I created a YouTube channel for Mindfunda. One of the books that had intrigued me the most was Dream of the Cosmos written by Jungian author Anne Baring. 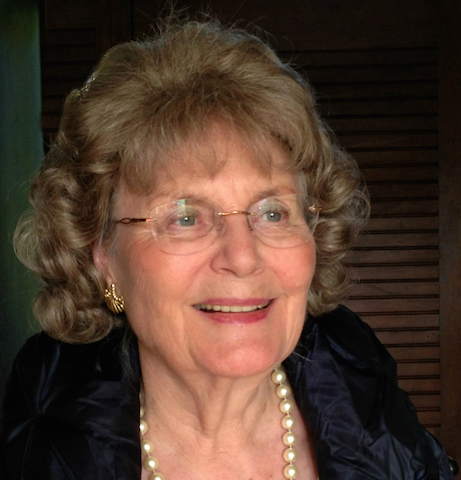 In April 2015 I taped the first Skype interview with non other than Anne Baring. She, in my eyes, is a star. Having read her “Mythology of the Goddess” I was severely impressed with the intellectual depth of this lady. She has read so many old books about Kabbalah, about Sacred Geometry, she traveled the world: she is like an intellectual rock star to me. After emailing her she agreed to an interview on Skype. I was jumping tables, filled with joy. Unfortunately she had to cancel the interview. Twice. That is not good for your self-confidence. At an earlier age in my life, when I was about eight year old I really wanted to be a journalist. And interviewing people comes close. So having interviews cancelled for any reason is not good for your self-esteem. And she mailed me she did not like my questions. So I decided to jump in at the deep end and skip the questions but to ask her to tell about subjects. She agreed to that (and now you know the reason why I do not talk very much in that interview). But she was indeed my intellectual superstar. She gave such an inspiring talk that I was glowing with enthusiasm after I hang up the phone on Skype. I usually give the authors my questions at least a week before the interview, so they can prepare. I like to start with a personal question about a dream, or a life changing experience. Most viewers don’t look long at interviews so you have to catch them early on to capture them. So that personal question, where the interviewees show a vulnerable, likable side of him or herself is very important. Robert Waggoner was a delight to interview. I just admit to you that I am no good at multitasking and Robert thought along with me. He recommended research, he gave reading tips, he summarized. I called him in his early morning and he was sharp. He is an early bird. I did not have my headphone working while I did the interview with him, that is the reason I edited myself out of the video. And besides, Robert is far more interesting when it comes to lucid dreaming. I only have about 3-5 lucid dreams a month so I do not consider myself to be an expert on the subject. I was so glad when I saw one of my friends on Facebook was a friend of Connie Kaplan. Her ‘Woman’s book of Dreams’ influenced me very much. We could have talked for hours. But keeping my interviews around 50 minutes is my aim. Preferably shorter, twenty minutes would be my favorite length. Experts say an ideal interview just lasts about three minutes. Connie talked with ease and felt really comfortable. She displays so much joy and wisdom in her film that you have got to fall in love with her. I was really afraid that Jean Raffa would be far too busy to be interviewed by me. I heard such good things about her books especially ‘Dream theatres of the Soul’ and the ‘Healing the Sacred Divide’. But she was delightful, down to earth, but jet very spiritual. But she was happy to do the interview, even at a time when she was occupied with her keynote speech for the International Association for the Study of Dreams (IASD) annual conference where she was invited to be the keynote speaker. I usually engage in a talk before I do the interview (I edit this part out) and we discovered we had mutual Facebook friends and that we both had this longing for a spiritual depth that we could not fulfill using the traditional spiritual methods. 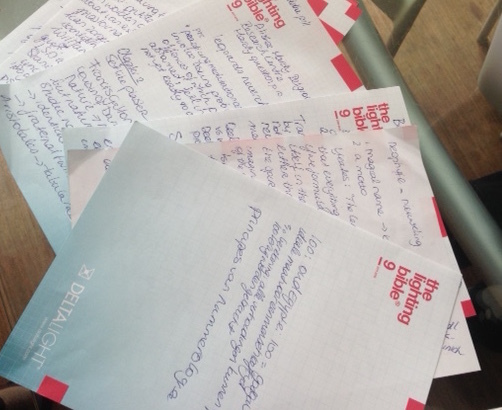 So I ended up telling her everything about my “Reading the Red Book project” something I am working on now. I use the Red Book as a tool to incubate dreams to guide my own inner experience of religion. The last interview I uploaded (I have not uploaded my interview with PMH Atwater yet) is that of Stanley Krippner. Stanley is a highly intelligent man who always impresses me with his knowledge of books and research. There is no subject to be discussed with him, or he can give you a good book written about it, or some excellent research for you to read. The only thing he is not able to give you is the ISBN number of the book. The interview went very well even though he was very hungry (It was his one-o-clock that I interviewed him). During this interview he showed a magnificent shamanic drum he once got, I was very impressed by it. Now I am busy editing PMH Atwater’s interview and preparing questions for Catherine Wikholm who is one of the authors of the Buddha pill. PMH Atwater is a writer and dyslexic, a combination that is very impressive. During our interview she was very direct, very scientific and very down to earth. The thing I had to get used to is that she likes to be called PMH. She considers that to be her first name. It was easy to get used too, because I became quite charmed with her energy. She has been researching near death experiences for a long time. Like Jean Raffa, she is has re-defined her personal religion. Now she is searching for people who had a near death experience at an early age and she does an appeal to you to connect with her and tell her your story if indeed you had one at an early age.